Last modification: 8-Apr-2019, 630 publications. This page will never be complete. Be sure to check the modification date. For preprints, click on the links in the titles below, check the arXiv preprint server (incomplete; mostly the astro-ph, nucl-th, and nucl-ex archives), or contact me. In case you have further questions you are also welcome to contact me. Ap. J. Suppl. 189 (2010) 240. Ap. J. 576 (2002) 323. Phys. Rev. Lett. 86 (2001) 3471. At. Data Nucl. Data Tables 76 (2000) 70. At. Data Nucl. Data Tables 75 (2000) 1. Strangely, my currently sixth most cited article (number 22 in the list below) is not given in the ESI listing. Perhaps this is due to the statistical weighting applied to older articles or to the (somewhat arbitrary) division into different fields which penalizes scientists in interdisciplinary research such as Nuclear Astrophysics. 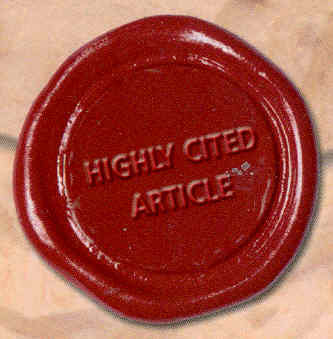 Incidentally, this is the 4th most cited paper of all papers published in Physical Review C in 1997. Impact factors of the journals I publish in (and some other reference journals) are compiled in a separate list (impact factors of year 2011). Muon Catalyzed Fusion 6 (1991) 505. Annales Geophysicae 9 (1991) C369. Phys. Rev. C 45 (1992) 1996. J. Phys. G 18 (1992) L147. Ann. Phys. 505 (1993) 258. Sov. Journ. of Physics 56 (1993) 106. Ap. J. 429 (1994) 499. Z. Phys. A 349 (1994) 241. Nucl. Phys. A570 (1994) 329. Z. Phys. A 353 (1995) 9. Phys. Rev. C 53 (1996) 469. Phys. Rev. C 53 (1996) 2496. Surv. Geophys. 17 (1996) 665. Z. Phys. A 355 (1996) 203. Mem. Soc. Astron. It. 67 (1996) 851. Phys. Rev. C 54 (1996) 2894. Nucl. Phys. A621 (1997) 327c. Nucl. Phys. A621 (1997) 331c. Phys. Rev. C 55 (1997) 1523. Phys. Rev. C 56 (1997) 1613. Ap. J. 484 (1997) 412. Nucl. Phys. A621 (1997) 405c. Phys. Rev. C 57 (1998) 2031. Astron. Astrophys. 333 (1998) 1112. Nucl. Phys. A632 (1998) 205. Phys. Rev. C 58 (1998) 524. Phys. Rev. C 58 (1998) 2531. Acta Physica Polonica B 29 (1998) 3503. Ap. J. 516 (1999) 381. Phys. Rev. C 59 (1999) 1154. Ap. J. 521 (1999) 735. Nucl. Phys. A675 (2000) 695. Phys. Lett. B 488 (2000) 127. Phys. Rev. C 62 (2000) 042801 (R). Phys. Rev. C 62 (2000) 055803. Nucl. Phys. A688 (2001) 86c. Nucl. Phys. A688 (2001) 90c. Nucl. Phys. A688 (2001) 150c. Nucl. Phys. A688 (2001) 193c. Nucl. Phys. A688 (2001) 427c. Phys. Rev. C 63 (2001) 055802. Prog. Part. Nucl. Phys. 46 (2001) 5. Phys. Rev. C 64 (2001) 049901. Phys. Rev. C 64 (2001) 015801. Phys. Rev. C 64 (2001) 055804. Tables of Cross Sections and Reaction Rates: an Addendum to "Astrophysical Reaction Rates From Statistical Model Calculations"
At. Data Nucl. Data Tables 79 (2001) 47. Phys. Rev. C 64 (2001) 065803. Phys. Rev. C 64 (2001) 065805. Europhysics News 32 (2001) 224. Mem. Soc. Astron. It. 72 (2001) 453. Phys. Rev. C 65 (2002) 058801. Space Science Reviews 100 (2002) 277. Astrophys. Space Sci. 281 (2002) 25. New Astronomy Reviews 46 (2002) 463. Phys. Rev. C 66 (2002) 015801. Phys. Rev. C 66 (2002) 015803. Phys. Rev. C 66 (2002) 028802. Nucl. Phys. A707 (2002) 241. Nucl. Phys. A709 (2002) 453. J. Nucl. Sci. Techn., Supplement 2 (2002) 276. J. Nucl. Sci. Techn., Supplement 2 (2002) 512. Nucl. Phys. A710 (2002) 469. Ap. J. 582 (2003) 1251. Ap. J. 583 (2003) 506. Phys. Rev. C 67 (2003) 015806. Nucl. Phys. A718 (2003) 3c. Nucl. Phys. A718 (2003) 139c. Nucl. Phys. A718 (2003) 159c. Nucl. Phys. A718 (2003) 243c. Nucl. Phys. A718 (2003) 347c. Nucl. Phys. A718 (2003) 463c. Nucl. Phys. A718 (2003) 502c. Nucl. Phys. A718 (2003) 518c. Nucl. Phys. A718 (2003) 533c. Nucl. Phys. A718 (2003) 575c. Nucl. Phys. A718 (2003) 578c. Nucl. Phys. A718 (2003) 599c. Nucl. Phys. A718 (2003) 650c. Nucl. Phys. A719 (2003) 9c. Nucl. Phys. A719 (2003) 73c. Nucl. Phys. A719 (2003) 111c. Nucl. Phys. A719 (2003) 123c. Nucl. Phys. A719 (2003) 287c. Compte Rendus Physique 4 (2003) 541. Phys. Rev. C 67 (2003) 062802(R). Ap. J. Suppl. 147 (2003) 403. Nucl. Phys. A725 (2003) 295. Phys. Rev. D 68 (2003) 074014. Phys. Rev. C 68 (2003) 055803. Nucl. Instr. Meth. A 505 (2003) 381. Phys. Rev. C 69 (2004) 015803. New Astron. Reviews 48 (2004) 3. Ap. J. Suppl. 151 (2004) 75. Nucl. Instr. Meth. A 521 (2004) 454. Astrophys. Space Sci. 291 (2004) 27. Nucl. Instr. Meth. A 517 (2004) 389. Nucl. Instr. Meth. B 213 (2004) 49. Braz. J. Phys. 34 (2004) 914. At. Data Nucl. Data Tables 88 (2004) 1. Nucl. Instr. Meth. A 532 (2004) 622. Nucl. Phys. A747 (2005) 633. Nucl. Instr. Meth. A 538 (2005) 692. Nucl. Phys. A751 (2005) 301c. Phys. Rev. C 71 (2005) 059903. Nucl. Phys. A758 (2005) 154c. Nucl. Phys. A758 (2005) 501c. Nucl. Phys. A758 (2005) 513c. Nucl. Phys. A758 (2005) 517c. Nucl. Phys. A758 (2005) 533c. Nucl. Phys. A758 (2005) 549c. Nucl. Phys. A758 (2005) 573c. Nucl. Phys. A758 (2005) 631c. Neutron Captures in the r-Process - Do We Know Them and Does It Make Any Difference? Nucl. Phys. A758 (2005) 655c. Phys. Rev. C 71 (2005) 065802. J. Phys. G 31 (2005) S1927. Phys. Rev. C 73 (2006) 015803. Phys. Rev. C 73 (2006) 015804. European Phys. J. A 27 (2006) s1.129. European Phys. J. A 27 (2006) s1.309. Phys. Rev. C 73 (2006) 044603. Phys. Rev. C 73 (2006) 054610. Comment on "187Re(γ,n) cross section close to and above the neutron threshold"
Phys. Rev. C 74 (2006) 019801. Phys. Rev. C 74 (2006) 025805. Phys. Rev. C 74 (2006) 025807. Nucl. Phys. A777 (2006) 137. Phys. Rev. C 74 (2006) 055802. Phys. Rev. C 75 (2007) 015806. Comment on "Heavy element production in inhomogeneous big bang nucleosynthesis"
Phys. Rev. D 75 (2007) 068301. Phys. Rev. C 75 (2007) 035807. J. Radioanalyt. Nucl. Chem. 272 (2007) 223. J. Phys. G 34 (2007) 817. Phys. Rev. C 75 (2007) 045805. Prog. Part. Nucl. Physics 59 (2007) 74. Prog. Part. Nucl. Physics 59 (2007) 165. Prog. Part. Nucl. Physics 59 (2007) 199. Int. J. Mod. Phys. E 16 (2007) 1149. Phys. Rev. C 76 (2007) 045805. Phys. Rev. C 76 (2007) 055807. Radiation Measurements 42 (2007) 1492. J. Phys. G 35 (2008) 014015. J. Phys. G 35 (2008) 014020. J. Phys. G 35 (2008) 014026. J. Phys. G 35 (2008) 014029. J. Phys. G 35 (2008) 014032. Ap. J. 673 (2008) 434. Phys. Rev. C 77 (2008) 035802. Phys. Lett. B 666 (2008) 395. Phys. Rev. C 78 (2008) 025804. Nucl. Instr. Meth. Phys. Res. A 594 (2008) 220. Phys. Rev. C 78 (2008) 032801(R). Ap. J. 686 (2008) 560. Phys. Rev. C 78 (2008) 045804. Phys. Rev. Lett. 101 (2008) 191101. Phys. Rev. C 78 (2008) 054310. Ap. J. 691 (2009) 1943. Phys. Rev. C 79 (2009) 045802. Nucl. Phys. A823 (2009) 26. Phys. Rev. C 79 (2009) 065801. Astron. Astrophys. 503 (2009) 47. Nucl. Inst. Meth. Phys. Res. A 608 (2009) 424. Phys. Rev. C 80 (2009) 035801. Phys. Rev. C 80 (2009) 044604. Nucl. Phys. A834 (2010) 635. Ap. J. 712 (2010) 1359. Applied Radiation and Isotopes 68 (2010) 643. Astron. Astrophys. 513 (2010) A61. Phys. Rev. C 81 (2010) 044616. Phys. Rev. C 81 (2010) 045807. Phys. Rev. C 81 (2010) 055801. Ap. J. 715 (2010) 1383. Phys. Rev. C 82 (2010) 015802. Phys. Rev. C 82 (2010) 015804. Phys. Rev. C 82 (2010) 034601. J. Phys. G 37 (2010) 115201. Astron. Astrophys. 522 (2010) A39. Phys. Lett. B 695 (2011) 419. Lect. Notes in Physics 812 (2011) 461. Europ. Phys. J. A 47 (2011) 2. Phys. Rev. C 83 (2011) 034608. What are the Astrophysical Sites for the r-Process and the Production of Heavy Elements? Prog. Part. Nucl. Phys. 66 (2011) 346. Nuclear Instr. Meth. A 637 (2011) 60. Bulletin of the Russian Academy of Sciences: Physics 75 (2011) 520. Phys. Rev. C 83 (2011) 044620. Ap. J. Suppl. 194 (2011) 39. Int. J. Mod. Phys. E 20 (2011) 1071. Phys. Rev. C 84 (2011) 015801. Phys. Rev. C 84 (2011) 015802. J. Kor. Phys. Soc. 59 (2011) 1510. J. Kor. Phys. Soc. 59 (2011) 1809. J. Kor. Phys. Soc. 59 (2011) 1904. J. Kor. Phys. Soc. 59 (2011) 1908. J. Kor. Phys. Soc. 59 (2011) 1912. Nucl. Phys. A867 (2011) 52. Phys. Rev. C 84 (2011) 044618. Phys. Rev. C 84 (2011) 045808. Phys. Rev. C 84 (2011) 055802. Nucl. Instr. Meth. B 269 (2011) 3251. Europ. Phys. J. A 47 (2011) 160. Phys. Rev. C 85 (2012) 025804. Phys. Rev. C 85 (2012) 034616. Europ. Phys. J. A 48 (2012) 29. Phys. Rev. C 85 (2012) 044615. Phys. Rev. C 85 (2012) 044616. Phys. Rev. C 85 (2012) 064601. Phys. Rev. C 86 (2012) 015804. Ap. J. Suppl. 201 (2012) 26. Ap. J. Lett. 755 (2012) L10. Phys. Rev. C 86 (2012) 035801. Phys. Rev. C 86 (2012) 035802. Ap. J. 758 (2012) 9. Physica Scripta T150 (2012) 014005. Phys. Rev. Lett. 110 (2013) 022501. Eur. Phys. J. A 49 (2013) 2. Eur. Phys. J. A 49 (2013) 27. Ap. J. Lett. 768 (2013) L18. Rep. Prog. Phys. 76 (2013) 066201 (invited review). Phys. Rev. C 87 (2013) 055802. Ap. J. Lett. 771 (2013) L7. Phys. Rev. Lett. 111 (2013) 061104. Phys. Rev. C 88 (2013) 035803. Phys. Rev. C 88 (2013) 045802. Phys. Rev. C 88 (2013) 045804. Nucl. Instr. Meth. Phys. A 732 (2013) 190. Eur. Phys. J. A 49 (2013) 156. Phys. Rev. C 89 (2014) 014605. Nucl. Inst. Meth. Phys. A 743 (2014) 79. Phys. Rev. C 89 (2014) 025810. Phys. Rev. C 89 (2014) 035802. AIP Advances 4 (2014) 041012. Phys. Rev. C 89 (2014) 044606. Phys. Rev. C 89 (2014) 044609. Phys. Rev. C 89 (2014) 054611. Nucl. Instr. Meth. Phys. Res. A 760 (2014) 57. Phys. Lett. B 735 (2014) 40. Phys. Rev. C 89 (2014) 065808. Phys. Rev. C 90 (2014) 021601(R). Nucl. Data Sheets 118 (2014) 437. Nucl. Data Sheets 119 (2014) 1. Nucl. Data Sheets 119 (2014) 5. Nucl. Data Sheets 119 (2014) 10. Nucl. Data Sheets 119 (2014) 18. Nucl. Data Sheets 119 (2014) 26. Nucl. Data Sheets 119 (2014) 35. Nucl. Data Sheets 119 (2014) 42. Nucl. Data Sheets 119 (2014) 45. Nucl. Data Sheets 119 (2014) 58. Nucl. Data Sheets 119 (2014) 65. Nucl. Data Sheets 119 (2014) 72. Nucl. Data Sheets 119 (2014) 110. Nucl. Data Sheets 119 (2014) 117. Nucl. Data Sheets 119 (2014) 132. Nucl. Data Sheets 119 (2014) 365. Nucl. Data Sheets 120 (2014) 171. Nucl. Data Sheets 120 (2014) 201. Nucl. Data Sheets 120 (2014) 208. Phys. Rev. C 90 (2014) 034608. Phys. Rev. C 90 (2014) 035806. Nucl. Instr. Meth. Phys. Res. A 768 (2014) 55. Ap. J. 795 (2014) 141. Ap. J. 799 (2015) 54. Phys. Rev. C 91 (2015) 024602. Phys. Rev. C 91 (2015) 034610. Nucl. Phys. A940 (2015) 194. Phys. Rev. C 91 (2015) 055809. Phys. Rev. C 92 (2015) 019903. Ap. J. 808 (2015) 30. Nucl. Instr. Meth. Phys. Res. A 799 (2015) 90. Mon. Not. Roy. Astron. Soc. 456 (2016) 1803. J. Cosmol. Astropart. Phys. (JCAP) 02 (2016) 007. Phys. Rev. C 93 (2016) 034614. Europ. Phys. J. A 52 (2016) 100. Europ. Phys. J. A 52 (2016) 101. Nucl. Instr. Meth. Phys. Res. A 830 (2016) 197. Eur. Phys. J. Plus 131 (2016) 137. Phys. Rev. C 94 (2016) 045801. Mon. Not. Roy. Astron. Soc. 463 (2016) 4153. Phys. Lett. B 768 (2017) 1. Phys. Rev. C 95 (2017) 034604. Mon. Not. Roy. Astron. Soc. 469 (2017) 1752. Nucl. Instr. Meth. Phys. Res. A 875 (2017) 41. Europ. Phys. J. A 53 (2017) 210. Phys. Rev. C 96 (2017) 064601. Phys. Lett. B 776 (2018) 396. Mon. Not. Roy. Astron. Soc. 474 (2018) 3133. Nucl. Instr. Meth. Phys. Res. A 887 (2018) 27. Phys. Rev. C 97 (2018) 024605. Ap. J. 854 (2018) 18. Nucl. Instr. Meth. Phys. Res. A 890 (2018) 142. Phys. Rev. C 97 (2018) 045803. Phys. Lett. B 781 (2018) 358. Phys. Rev. C 97 (2018) 054616. Phys. Rev. C 97 (2018) 064603. Mon. Not. Roy. Astron. Soc. 478 (2018) 4101. Phys. Rev. Lett. 121 (2018) 042701. Nucl. Instr. Meth. Phys. Res. A 889 (2018) 138. Nuclear Physics News 28 No. 3 (2018) 12. Ap. J. Lett. 864 (2018) L40. Nucl. Instr. Meth. A 913 (2019) 40. Europ. Phys. J. A 55 (2019) 9. Phys. Lett. B 790 (2019) 458. Phys. Rev. Lett. 122 (2019) 092701. M. Mastromarco, et al. (The n_TOF Collaboration). Eur. Phys. J. A 55 (2019) 45. Mon. Not. Roy. Astron. Soc., submitted. Phys. Rev. C, in preparation. Phys. Rev. Lett., in preparation. Proc. 1st Int. Conf. on Nuclear Astrophysics "Nuclei in the Cosmos", Baden/Vienna 1990, eds. W. Hillebrandt and H. Oberhummer (Max Planck-Institut für Physik und Astrophysik: Garching 1990), p. 200. Proc. 1st Int. Conf. on Nuclear Astrophysics "Nuclei in the Cosmos", Baden/Vienna 1990, eds. W. Hillebrandt and H. Oberhummer (Max Planck Institut für Physik und Astrophysik: Garching 1990), p. 220. Proc. Int. Conf. on Primordial Nucleosynthesis and the Evolution of the Early Universe, Tokyo 1990 (Kluwer Academic Press: Tokyo 1991), p. 61. Proc. 6th Workshop in Nuclear Astrophysics, Ringberg Castle 1991, eds. E. Müller and W. Hillebrandt (Max Planck-Institut für Physik und Astrophysik: Garching 1991), p. 4. Proc. 2nd Int. Conf. on Radioactive Nuclear Beams, Louvain-la-Neuve 1991 (Adam Hilger, IOP publishing: Bristol 1992), p. 341. Proc. 1991 Mikolajki School on Nuclear Physics ed. G. Szeflinska (IOP Publishing: Bristol 1992), p. 45.
in "From Spectroscopic to Chaotic Features of Nuclear Systems", ed. D. Seeliger (World Scientific: Singapore 1993), p. 112. Proc. 2nd Int. Conf. on Nuclear Astrophysics "Nuclei in the Cosmos", Karlsruhe 1992, eds. F. Käppeler and K. Wisshak (IOP Publishing, Bristol 1993), p. 393. Proc. Int. Conf. on Origin of the Elements, eds. S. Kubono and T. Kajino (World Scientific: Singapore 1993), p. 254. Proc. VIII Int. Symp. on Γ-Ray Spectroscopy and Related Topics, Fribourg, Switzerland, ed. J. Kern (World Scientific: Singapore 1994), p. 762. Proc. European Workshop on Heavy Element Nucleosynthesis, Budapest 1994, eds. E. Somorjai und Z. Fülöp (Institute of Nuclear Research of the Hungarian Academy of Sciences, Debrecen 1994), p. 67. Proc. European Workshop on Heavy Element Nucleosynthesis, Budapest 1994, eds. E. Somorjai und Z. Fülöp (Institute of Nuclear Research of the Hungarian Academy of Sciences, Debrecen 1994), p. 176. Proc. European Workshop on Heavy Element Nucleosynthesis, Budapest 1994, eds. E. Somorjai und Z. Fülöp (Institute of Nuclear Research of the Hungarian Academy of Sciences, Debrecen 1994), p. 121.
in "The Light Element Abundances", ed. P. Crane (Springer, Berlin Heidelberg 1995), p. 31. Proc. Int. Conf. on Exotic Nuclei and Atomic Masses "ENAM 95", eds. M. de Saint Simon and O. Sorlin (Editions Frontières, Gif-sur-Yvette 1995), p. 603. Elsevier Preprint EMIS-13, NIMB 1996. Can Entropy Superpositions Fit the Solar System r-Process Abundance Distribution? in "Nuclear Astrophysics", Ringberg Proc., eds. W. Hillebrandt, E. Müller, Max-Planck-Institut MPA/P9 (1996), p. 58. Proc. 9th Int. Symp. Γ-Ray Spectroscopy and Related Topics, ed. G.L. Molnár, T. Belgya, Zs. Révay (Springer, Budapest 1997), p. 521. Conference Proceedings Vol. 59 "Nuclear Data for Science and Technology", eds. G. Reffo, A. Ventura, C. Grandi (Soc. Italiana di Fisica, Bologna 1997), p. 1587. Proc. 5th Int. Sem. Interact. Neutr. Nucl. "ISINN-5", Rep. E3-97-213 (Joint Institute for Nuclear Research, Dubna 1997), p. 229.
in "Nuclear Astrophysics", eds. M. Buballa, W. Nörenberg, J. Wambach, A. Wirzba (GSI, Darmstadt 1998), p. 288.
in "Supernovae and Cosmology", Symposium in Honor of G.A. Tammann's 65th Birthday, eds. L. Labhardt, B. Binggeli, R. Buser, Institute of Astronomy, Basel, Switzerland 1998, p. 137.
in "Stellar Evolution, Stellar Explosions, and Galactic Chemical Evolution", ed. A. Mezzacappa (IOP, Bristol 1998), p. 519.
in "Stellar Evolution, Stellar Explosions, and Galactic Chemical Evolution", ed. A. Mezzacappa (IOP, Bristol 1998), p. 483.
in "Stellar Evolution, Stellar Explosions, and Galactic Chemical Evolution", ed. A. Mezzacappa (IOP, Bristol 1998), p. 607.
in "Nuclear and Particle Astrophysics", eds. J. Hirsch., D. Page (Cambridge University Press, Cambridge 1998), p. 27. Proc. IX Workshop on Nuclear Astrophysics, eds. W. Hillebrandt, E. Müller, MPA/P10 (MPA, Garching 1998), p. 71. Proc. IX Workshop on Nuclear Astrophysics, eds. W. Hillebrandt, E. Müller, MPA/P10 (MPA, Garching 1998), p. 84. Proc. Int. Symp. "Nuclei in the Cosmos V", eds. N. Prantzos, S. Harissopoulos (Editions Frontières, Gif-sur-Yvette 1998), p. 196. Proc. Int. Symp. "Nuclei in the Cosmos V", eds. N. Prantzos, S. Harissopoulos (Editions Frontières, Gif-sur-Yvette 1998), p. 212. Proc. Int. Symp. "Nuclei in the Cosmos V", eds. N. Prantzos, S. Harissopoulos (Editions Frontières, Gif-sur-Yvette 1998), p. 455. Proc. Int. Symp. "Nuclei in the Cosmos V", eds. N. Prantzos, S. Harissopoulos (Editions Frontières, Gif-sur-Yvette 1998), p. 459. Proc. Int. Symp. "Nuclei in the Cosmos V", eds. N. Prantzos, H. Harissopoulos (Editions Frontières, Gif-sur-Yvette 1998), p. 484. Proc. Int. Symp. Origin of Matter and Evolution of Galaxies 97, eds. S. Kubono, T. Kajino, K.I. Nomoto, I. Tanihata (World Scientific, Singapore 1999), p. 359.
in "Tours Symposium on Nuclear Physics III", in press. Proc. Int. Conf. on Exotic Nuclei and Atomic Masses "ENAM 98", eds. B. Sherrill, D.J. Morrissey, C.N. Davids; AIP Conf. Proc. 455 (1999) 837. Proc. Workshop "The β Decay, from Weak Interaction to Nuclear Structure", eds. P. Dessagne, A. Michalon, C. Miehé (IRes, Strasbourg 1999), p. 51. AIP Conf. Proc. 529 (2000) 331. AIP Conf. Proc. 529 (2000) 706. Proc. X Workshop on Nuclear Astrophysics, eds. W. Hillebrandt, E. Müller, MPA/P12 (MPA, Garching 2000), p. 105. Proc. "Origin of Elements in the Solar System: Implications of Post-1957 Observations", ed. O. Manuel (Kluwer Academic/Plenum Press, 2001), p. 143.
in "Hadrons, Nuclei, and Applications", eds. G.C. Bonsignori, M. Bruno, A. Ventura, D. Vretenar (World Scientific, 2001), p. 277. AIP Conf. Proc. 561 (2001) 3. Neutron Spectroscopy, Nuclear Structure, Related Topics: Proc. IX Int. Sem. Interactions of Neutrons With Nuclei (ISINN-9), (JINR: Dubna 2001), p. 389. Geochim. Cosmochim. Acta (Suppl.) 66 (2002) A169. Proc. Int. Conf. Chemical Enrichment of Intracluster and Intergalactic Medium, ASP Conf. Proc. 253 (2002) 205. Proc. Int. Symp. Astrophysics, Symmetries, and Applied Physics at Spallation Neutron Sources, eds. P. E. Koehler, C. R. Gould, R. C. Haight, T. E. Valentine (World Scientific, Singapore 2002), p. 25. Proc. Int. Symp. Astrophysics, Symmetries, and Applied Physics at Spallation Neutron Sources, eds. P. E. Koehler, C. R. Gould, R. C. Haight, T. E. Valentine (World Scientific, Singapore 2002), p. 83.
in Capture Γ Ray Spectroscopy and Related Topics (World Scientific, Singapore 2003), p. 311.
in Capture Γ Ray Spectroscopy and Related Topics (World Scientific, Singapore 2003), p. 336.
in Capture Γ Ray Spectroscopy and Related Topics (World Scientific, Singapore 2003), p. 682.
in Capture Γ Ray Spectroscopy and Related Topics (World Scientific, Singapore 2003), p. 781. Proc. ICRC 2001, Hamburg, Germany. AIP Conf. Proc. 704 (2004) 463. Proc. XII Workshop on Nuclear Astrophysics, eds. E. Müller, H.-T. Janka, MPA/P14 (MPA Garching, 2004), p. 26. Proc. XII Workshop on Nuclear Astrophysics, eds. E. Müller, H.-T. Janka, MPA/P14 (MPA Garching, 2004), p. 63. Proc. XII Workshop on Nuclear Astrophysics, eds. E. Müller, H.-T. Janka, MPA/P14 (MPA Garching, 2004), p. 68.
in "The r-Process: The Astrophysical Origin of the Heavy Elements and Related Rare Isotope Accelerator Physics", eds. Y.-Z. Qian, E. Rehm, H. Schatz, F.-K. Thielemann (World Scientific, Singapore 2004), p. 1.
in "The r-Process: The Astrophysical Origin of the Heavy Elements and Related Rare Isotope Accelerator Physics", eds. Y.-Z. Qian, E. Rehm, H. Schatz, F.-K. Thielemann (World Scientific, Singapore 2004), p. 63. AIP Conf. Proc. 769 (2005) 724. AIP Proc. Conf. 769 (2005) 876. AIP Conf. Proc. 769 (2005) 880. AIP Conf. Proc. 769 (2005) 1039. AIP Conf. Proc. 769 (2005) 1335. AIP Conf. Proc. 769 (2005) 1442. AIP Conf. Proc. 769 (2005) 1470. AIP Conf. Proc. 769 (2005) 1521. AIP Conf. Proc. 769 (2005) 1529. AIP Conf. Proc. 819 (2006) 118. AIP Conf. Proc. 819 (2006) 123. AIP Conf. Proc. 819 (2006) 201. AIP Conf. Proc. 819 (2006) 283. AIP Conf. Proc. 819 (2006) 288. AIP Conf. Proc. 819 (2006) 318. AIP Conf. Proc. 819 (2006) 419. AIP Conf. Proc. 831 (2006) 502. AIP Conf. Proc. 831 (2006) 532. J. Phys. Conf. Series 41 (2006) 352. AIP Conf. Proc. 847 (2006) 351. Proceedings of Science, PoS(NIC-IX)053 (2006). Proceedings of Science, PoS(NIC-IX)055 (2006). Proceedings of Science, PoS(NIC-IX)058 (2006). Proceedings of Science, PoS(NIC-IX)064 (2006). Proceedings of Science, PoS(NIC-IX)089 (2006). Proceedings of Science, PoS(NIC-IX)090 (2006). Proceedings of Science, PoS(NIC-IX)138 (2006). Proceedings of Science, PoS(NIC-IX)204 (2006). Proceedings of Science, PoS(NIC-IX)227 (2006). Proc. "Advances in Nuclear Analysis and Simulation, PHYSOR-2006", Vancouver, 2006, (American Nuclear Society, La Grange Park 2006), ISBN 0-89448-697-7 (CD-ROM). AIP Conf. Proc. 884 (2007) 265. AIP Conf. Proc. 947 (2007) 43. Proc. 8th Int. Topical Meeting on Nucl. Applic. and Util. of Accelerators (American Nuclear Society, La Grange park 2007), ISBN 0-89448-054-5 (CD-ROM). in Opportunities with Exotic Beams, eds. T. Duguet, H. Esbensen, K. M. Nollet, C. D. Roberts (World Scientific, Singapore 2007), p. 163. AIP Conf. Proc. 1005 (2008) 119.
in Proc. Int. Conf. Nucl. Data for Science and Techn., eds. O.Bersillon, F.Gunsing, E.Bauge, R.Jacqmin, and S.Leray (EDP Sciences, 2008), p. 1325.
in Proc. Int. Conf. Nucl. Data for Science and Techn., eds. O.Bersillon, F.Gunsing, E.Bauge, R.Jacqmin, and S.Leray (EDP Sciences, 2008), p. 1303.
in Proc. Int. Conf. Nucl. Data for Science and Techn., eds. O.Bersillon, F.Gunsing, E.Bauge, R.Jacqmin, and S.Leray (EDP Sciences, 2008), p. 575.
in Proc. Int. Conf. Nucl. Data for Science and Techn., eds. O.Bersillon, F.Gunsing, E.Bauge, R.Jacqmin, and S.Leray (EDP Sciences, 2008), p. 1311.
in Proc. Int. Conf. Nucl. Data for Science and Techn., eds. O.Bersillon, F.Gunsing, E.Bauge, R.Jacqmin, and S.Leray (EDP Sciences, 2008), p. 599.
in Proc. Int. Conf. Nucl. Data for Science and Techn., eds. O.Bersillon, F.Gunsing, E.Bauge, R.Jacqmin, and S.Leray (EDP Sciences, 2008), p. 1265.
in Proc. Int. Conf. Nucl. Data for Science and Techn., eds. O.Bersillon, F.Gunsing, E.Bauge, R.Jacqmin, and S.Leray (EDP Sciences, 2008), p. 445.
in Proc. Int. Conf. Nucl. Data for Science and Techn., eds. O.Bersillon, F.Gunsing, E.Bauge, R.Jacqmin, and S.Leray (EDP Sciences, 2008), p. 627.
in Proc. Int. Conf. Nucl. Data for Science and Techn., eds. O.Bersillon, F.Gunsing, E.Bauge, R.Jacqmin, and S.Leray (EDP Sciences, 2008), p. 595.
in Proc. Int. Conf. Nucl. Data for Science and Techn., eds. O.Bersillon, F.Gunsing, E.Bauge, R.Jacqmin, and S.Leray (EDP Sciences, 2008), p. 571.
in Proc. Int. Conf. Nucl. Data for Science and Techn., eds. O.Bersillon, F.Gunsing, E.Bauge, R.Jacqmin, and S.Leray (EDP Sciences, 2008), p. 421.
in Proc. Int. Conf. Nucl. Data for Science and Techn., eds. O.Bersillon, F.Gunsing, E.Bauge, R.Jacqmin, and S.Leray (EDP Sciences, 2008), p. 537.
in Proc. Int. Conf. Nucl. Data for Science and Techn., eds. O.Bersillon, F.Gunsing, E.Bauge, R.Jacqmin, and S.Leray (EDP Sciences, 2008), p. 335. "Ninth Torino Workshop on Evolution and Nucleosynthesis in AGB Stars and the Second Perugia Workshop on Nuclear Astrophysics", eds. R. Guandalini, S. Palmerini, M. Busso (AIP, 2008), p. 90.
in "Seminar on Fission", eds. C. Wagemans, J. Wagemans, P. D'Hondt (World Scientific, 2008), p. 177. Geochim. Cosmochim. Acta (Suppl.) 72 (2008) A200. Proceedings of Science, PoS(PSF07)006 (2008). Proceedings of Science, PoS(PSF07)019 (2008). AIP Conf. Proc. 1016 (2008) 143. AIP Conf. Proc. 1016 (2008) 439. AIP Conf. Proc. 1090 (2009) 48. AIP Conf. Proc. 1090 (2009) 372. AIP Conf. Proc. 1090 (2009) 381. AIP Conf. Proc. 1090 (2009) 476. AIP Conf. Proc. 1090 (2009) 631. Proceedings of Science, PoS(NIC-X)086 (2009). Are there only 30 p-nuclei? Proceedings of Science, PoS(NIC-X)091 (2009). Proceedings of Science, PoS(NIC-X)098 (2009). Proceedings of Science, PoS(NIC-X)137 (2009). Proceedings of Science, PoS(NIC-X)143 (2009). Proceedings of Science, PoS(NIC-X)173 (2009). Proceedings of Science, PoS(NIC-X)178 (2009). AIP Conf. Proc. 1109 (2009) 78. AIP Conf. Proc. 1175 (2009) 211. J. Phys. Conf. Ser. 202 (2010) 012004. J. Phys. Conf. Ser. 202 (2010) 012006. J. Phys. Conf. Ser. 202 (2010) 012008. J. Phys. Conf. Ser. 202 (2010) 012013. AIP Conf. Proc. 1269 (2010) 247. AIP Conf. Proc. 1269 (2010) 390. IAU Proc. Series 268 (2010) 421. Seminar on Fission, eds. C. Wagemans, J. Wagemans, P. D'hondt (World Scientific, 2010). EPJ Web of Conferences 8 (2010) 07009. Proceedings of Science, PoS(NIC XI)049 (2011). Proceedings of Science, PoS(NIC XI)059 (2011). Proceedings of Science, PoS(NIC XI)189 (2011). Proceedings of Science, PoS(NIC XI)241 (2011). Proc. Int. Conf. Current Problems in Nuclear Physics and Atomic Energy (NPAE-2010) (Kyiv Institute for Nuclear Research, Kyiv, Ukraine, 2011) p. 207. AIP Conf. Proc. 1336 (2011) 547. Proceedings of Science PoS(ENAS 6)015 (2012). J. Phys. Conf. Ser. 337 (2012) 012030. EPJ Web of Conferences 21 (2012) 03001. AIP Conf Proc. 1484 (2012) 73. AIP Conf. Proc. 1484 (2012) 232. Proceedings of Science, PoS(NIC XII)023 (2012). Proceedings of Science, PoS(NIC XII)052 (2012). Proc. Int. Conf. Current Problems in Nuclear Physics and Atomic Energy (NPAE-2012), Part II (Kyiv Institute for Nuclear Research, Kyiv, Ukraine, 2013) p. 366. J. Phys. Conf. Ser. 420 (2013) 012138. Proc. 11th International Topical Meeting on Nuclear Applications of Accelerators (AccApp 2013), Bruges, Belgium, August 2013, p. 183. AIP Conf. Proc. 1525 (2013) 570. Proc. CGS14, eds. P. E. Garrett, B. Hadinia (World Scientific, Singapore, 2013), p. 376. EPJ Web of Conferences 62 (2013) 08003. EPJ Web of Conferences 66 (2014) 03061. EPJ Web of Conferences 66 (2014) 07016. EPJ Web of Conferences 66 (2014) 10001. AIP Conf. Proc. 1594 (2014) 196. EPJ Web of Conferences 79 (2014) 01003. Proceedings of Science, PoS(NIC XIII)021. Proceedings of Science, PoS(NIC XIII)025. Proceedings of Science, PoS(NIC XIII)026. Proceedings of Science, PoS(NIC XIII)032. Proceedings of Science, PoS(NIC XIII)127. Proceedings of Science, PoS(NIC XIII)141. Physics Procedia 64 (2015) 130. EPJ Web of Conferences 93 (2015) 02009. AIP Conf. Proc. 1681 (2015) 050003.
in Proc. 14th Int. Conf. Nuclear Reaction Mechanisms, eds. F. Cerutti, M. Chadwick, A. Ferrari, T. Kawano, P. Schoofs, CERN-Proceedings-2015-001, ISBN 978-92-9083-418-2 (CERN, Geneva 2015), p. 21.
in Proc. 14th Int. Conf. Nuclear Reaction Mechanisms, eds. F. Cerutti, M. Chadwick, A. Ferrari, T. Kawano, P. Schoofs, CERN-Proceedings-2015-001, ISBN 978-92-9083-418-2 (CERN, Geneva 2015), p. 267.
in Proc. 14th Int. Conf. 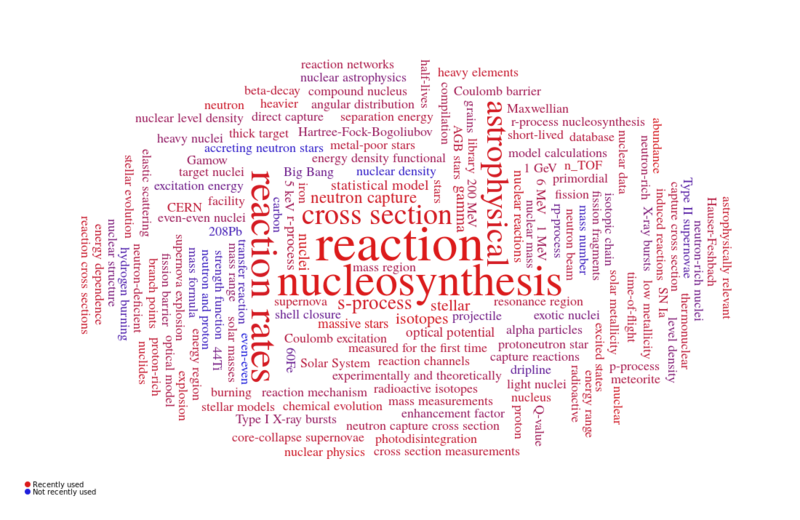 Nuclear Reaction Mechanisms, eds. F. Cerutti, M. Chadwick, A. Ferrari, T. Kawano, P. Schoofs, CERN-Proceedings-2015-001, ISBN 978-92-9083-418-2 (CERN, Geneva 2015), p. 275.
in Proc. 14th Int. Conf. Nuclear Reaction Mechanisms, eds. 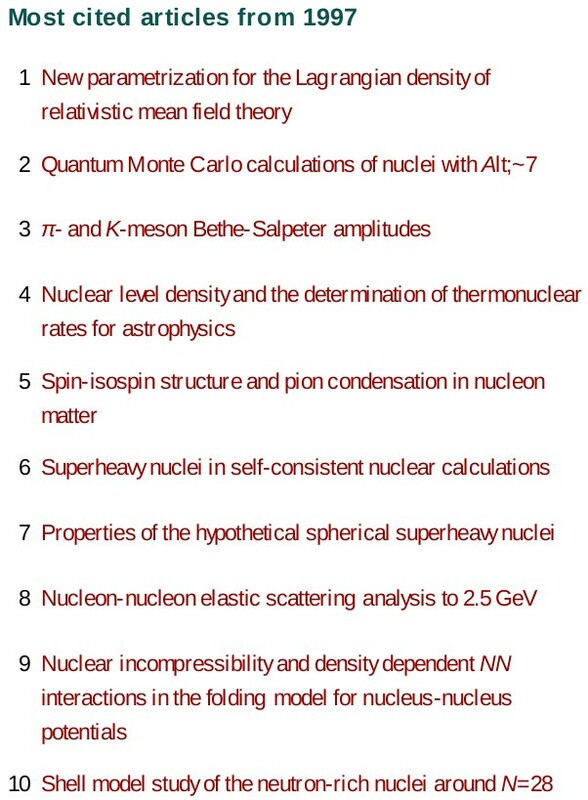 F. Cerutti, M. Chadwick, A. Ferrari, T. Kawano, P. Schoofs, CERN-Proceedings-2015-001, ISBN 978-92-9083-418-2 (CERN, Geneva 2015), p. 323. J. Phys. Conf. Ser. 665 (2016) 012020. J. Phys. Conf. Ser. 665 (2016) 012021. J. Phys. Conf. Ser. 665 (2016) 012024. J. Phys. Conf. Ser. 665 (2016) 012041. J. Phys. Conf. Ser. 665 (2016) 012043. J. Phys. Conf. Ser. 665 (2016) 012044. J. Phys. Conf. Ser. 665 (2016) 012054. EPJ Web of Conferences 111 (2016) 02002. EPJ Web of Conferences 111 (2016) 02003. EPJ Web of Conferences 111 (2016) 02004. EPJ Web of Conferences 111 (2016) 10002. EPJ Web of Conferences 122 (2016) 05001. AIP Conf. Proc. 1743 (2016) 040004. AIP Conf. Proc. 1743 (2016) 040008. JPS Conf. Proc. 14 (2017) 010001. JPS Conf. Proc. 14 (2017) 010509. JPS Conf. Proc. 14 (2017) 010605. JPS Conf. Proc. 14 (2017) 010903. JPS Conf. Proc. 14 (2017) 020903. EPJ Web of Conferences 146 (2017) 01007. EPJ Web of Conferences 146 (2017) 01012. EPJ Web of Conferences 146 (2017) 03001. EPJ Web of Conferences 146 (2017) 03020. EPJ Web of Conferences 146 (2017) 03030. EPJ Web of Conferences 146 (2017) 04030. EPJ Web of Conferences 146 (2017) 04057. EPJ Web of Conferences 146 (2017) 07002. EPJ Web of Conferences 146 (2017) 08004. EPJ Web of Conferences 146 (2017) 11002. EPJ Web of Conferences 146 (2017) 11021. EPJ Web of Conferences 146 (2017) 11022. EPJ Web of Conferences 146 (2017) 11028. EPJ Web of Conferences 146 (2017) 11045. EPJ Web of Conferences 146 (2017) 11054. Mem. Soc. Astron. It. 88 (2017) 432. EPJ Web of Conferences 165 (2017) 01014. J. Phys. Conf. Ser. 940 (2018) 012051. EPJ Web of Conferences 178 (2018) 03004. AIP Conf. Proc. 1947 (2018) 020015. EPJ Web of Conferences 184 (2018) 02005. Proceedings of "the 2017 Symposium on Nuclear Data", in press. Springer Proceedings in Physics 219 (2019) 82. Springer Proceedings in Physics 219 (2019), in press. 14th Patras Workshop on Axions, WIMPs and WISPs, 2018, DESY Proceedings, in press. Mitteilungsblatt der Österreichischen Physikalischen Gesellschaft 1/2000 (ÖPG, Wien (Vienna) 2000), p. 16. ASTRONOMIE + RAUMFAHRT, Heft 6/02 (Erhard Friedrich Verlag, Leipzig 2002), p. 23.
in Handbook of Nuclear Chemistry (Kluwer 2003, ISBN 1-4020-1305-1), Vol. 2, Chapter 1 (p. 410-456). in "Astronomy with Radioactivities", Lecture Notes in Physics, Vol. 812, eds. R. Diehl, D. H. Hartmann, N. Prantzos (Springer, 2010, ISBN 978-3-642-12697-0), p. 461.
in Handbook of Nuclear Chemistry, Second Edition (Springer, 2011, ISBN 978-1-4419-0721-9), Vol.2, Chapter 1 (p. 611-665). in "Astronomy with Radioactivities", Astrophysics and Space Science Library (ASSL), Vol. 453, eds. R. Diehl, D. H. Hartmann, N. Prantzos (Springer, 2018, ISBN 978-3-319-91928-7), p. 523. Verhandlungen der DPG 3 (1989) 49. 40th Annual Meeting of the Austrian Physical Society, Abstract in "Tagungsprogramm zur 40. Jahrestagung der ÖPG" 1990, p. 52. Spring Meeting of the DPG, ELFT, JCSMF-FVS, ÖPG, SPG, Salzburg 1992, Abstract in Verhandlungen der DPG 1 (1992) 44. Jahresbericht 1992 (Annual Report), Institut f. Kernchemie, Univ. Mainz, ed. H.O. Denschlag (Univ. Mainz, 1992). 43th Annual Meeting of the Austrian Physical Society, Abstract in "Tagungsprogramm zur 43. Jahrestagung der ÖPG" 1993, p. 52. GSI Scientific Report 1993, GSI 94-1, p. 61. Jahresbericht 1993 (Annual Report), Institut f. Kernchemie, Univ. Mainz, ed. H.O. Denschlag (Univ. Mainz, 1994), p. 39. Jahresbericht 1993 (Annual Report), Institut f. Kernchemie, Univ. Mainz, ed. H.O. Denschlag (Univ. Mainz, 1994), p. 38. Verhandlungen der DPG (VI) 29 (1994) 1913. 44. Annual Meeting of the Austrian Physical Society, Abstract in "Tagungsprogramm 1994", p. 152.
report IK-TUW 9403402, TU Vienna, 1994.
report IK-TUW 9404402, TU Vienna, 1994. Jahresbericht 1994 (Annual Report), Institut f. Kernchemie, Univ. Mainz, ed. H.O. Denschlag (Univ. Mainz, 1995), p. 38. Jahresbericht 1994 (Annual Report), Institut f. Kernchemie, Univ. Mainz, ed. H.O. Denschlag (Univ. Mainz, 1995), p. 40. Jahresbericht 1994 (Annual Report), Institut f. Kernchemie, Univ. Mainz, ed. H.O. Denschlag (Univ. Mainz, 1995), p. 39. Jahresbericht 1994 (Annual Report), Institut f. Kernchemie, Univ. Mainz, ed. H.O. Denschlag (Univ. Mainz, 1995), p. 37. Verhandlungen der DPG (VI) 30 (1995) 710. 45th Annual Meeting of the Austrian Physical Society, Abstract in "Tagungsprogramm 1995". Verhandlungen der DPG (VI) 31 (1996) 840. Verhandlungen der DPG (VI) 31 (1996) 865. 47th Annual Meeting of the Austrian Physical Society, Abstract in "Tagungsprogramm zur 47. Jahrestagung der ÖPG" 1997, p. 240. Verhandlungen der DPG (VI) 33 (1998) 455. 48th Annual Meeting of the Austrian Physical Society, Abstract in "Tagungsprogramm zur 48. Jahrestagung der ÖPG" 1998, p. 161. PIAFE Project Report, March 1998, eds. U. Köster, J.-A. Pinston (ISN, Grenoble 1998), p. 22. Findet der r-Prozess in Neutronenstern-Mergern statt? Verhandl. DPG (VI) 34 (1999) 164. Abs. Pap. Am. Chem. Soc. 217 (1999) U32. CERN/SPSC 99-8, SPSC/P 310 (CERN, Geneva 1999). Abs. Pap. Am. Chem. Soc. 218 (1999) U1034. Verhandlungen der DPG (VI) 35 (2000) 249. Verhandlungen der DPG (VI) 36 (2001) 2/39. Oak Ridge National Laboratory, Oak Ridge, TN, USA, report ORNL/TM-2001/271 (August 2002). Verhandlungen der DPG (VI) 38 (2003) 3/24. CERN, Geneva, report CERN/INTC-O-011, INTC-2002-037, CERN-SL-2002-053 ECT. Oak Ridge National Laboratory, Oak Ridge, TN, USA, report ORNL/TM-2003/50 (March 2003). Proposal submitted to INTEGRAL observation programm AO-2, October 2003. Verhandlungen der DPG (VI) 39 (2004) 1/24. Verhandlungen der DPG (VI) 39 (2004) 1/66. Verhandlungen der DPG (VI) 39 (2004) 1/67. Verhandlungen der DPG (VI) 40 (2005) 4/72. Verhandlungen der DPG (VI) 40 (2005) 4/73. 55th Annual Meeting of the Austrian Physical Society, Abstract in "Tagungsprogramm zur 55. Jahrestagung der ÖPG" 2005, p. 57. Verhandlungen der DPG (VI) 41 (2006) 4/HK 26.3. Verhandlungen der DPG (VI) 41 (2006) 4/HK 26.6. 56th Annual Meeting of the Austrian Physical Society, Abstract in "Tagungsprogramm zur 56. Jahrestagung der ÖPG" 2006, p. 74. Verhandlungen der DPG (VI) 42 (2007) 4/HK 15.9. Verhandlungen der DPG (VI) 42 (2007) 4/HK 30.2. Verhandlungen der DPG (VI) 43 (2008) 4/HK 24.5. Verhandlungen der DPG (VI) 43 (2008) 4/HK 36.8. Verhandlungen der DPG (VI) 43 (2008) 4/HK 34.104. Verhandlungen der DPG (VI) 44 (2009) 4/HK 38.3. Verhandlungen der DPG (VI) 44 (2009) 4/HK 60.2. Verhandlungen der DPG (VI) 44 (2009) 4/HK 60.3. Verhandlungen der DPG (VI) 44 (2009) 4/HK 77.5. GSI Scientific Report 2008, (GSI Report 2009-1), p. 174. Verhandlungen der DPG (VI) 45 (2010) 4/HK 55.1. GSI Scientific Report 2010, (GSI Darmstadt, 2011), p. 156. GSI Scientific Report 2010, (GSI Darmstadt, 2011), p. 173. NASA decadal survey proposal, 9 February 2018; LANL report LA-UR-18-29748. To the Nuclear Astrophysics pages.